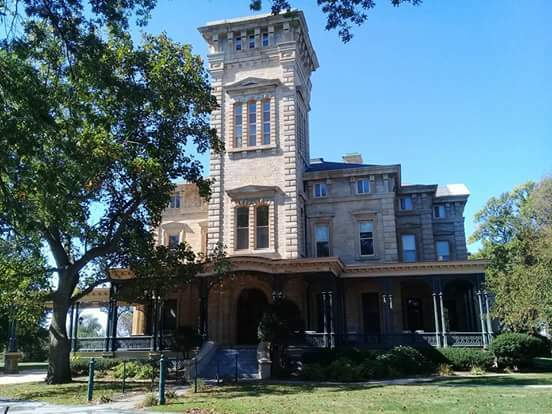 Quarters One (also known as Building 301) is the residence of the highest-ranking officer on the Rock Island Arsenal in Rock Island, Illinois on the banks of the Mississippi River. At 51 rooms and 21,965 square feet, Quarters One is the second-largest federal residence in the United States, behind the White House. Work begun on Quarters One by General Thomas S. Rodman in 1870 and was completed in 1872 by Major Flagler. The home was built for the purpose of providing quarters for the highest-ranking officer as well as providing space for official gatherings and functions. The building was designed in the Italianate style. The first major gathering held in the residence was in 1871 for the funeral of General Rodman. Over the years, many dignitaries and notable personalities stayed at the residence including Charles Lindberghin 1927 and King Carl XVI Gustav and Queen Silvia of Sweden in 1996. In 2006, the Army decided to discontinue its use as a residence. Tours are offered occasionally, and the Army is currently exploring other uses for the building. Rock Island Paranormal was the FIRST Paranormal Group allowed on The Rock Island Arsenal and the first Paranormal Group to investigate Quarters One. 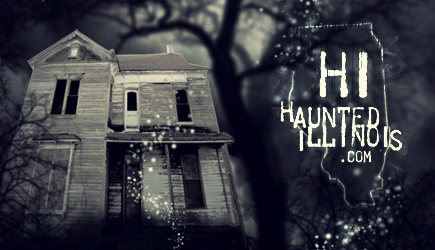 Our team was contacted in 2008 because the current occupant in Quarters One was experiencing "paranormal activity" ranging from doors opening and closing themselves, Windows opening and closing on their own, hearing heavy footsteps and moving furniture on 3rd floor, having items moved in certain rooms of the house, hearing people talking when they were the only ones home, etc. So we were unable to investigate until 2009 due to complications with the commanding officer. There are SEVERAL claims of activity and we will just tell you floor by floor starting in the basement and working our way up to the tower. There is a man in the basement who isnt to friendly towards one of our investigators he constantly calls her the B-word. Actually he frequently uses fowl language. It has been stated that this man was a maintenance person for the house and he hung himself (we have found no historical documents to prove this). This man opens doors and closes them and likes to pace the floors. While in the courtroom flashlights turn off and on by themselves, and while sitting on the bench and staring at the stairs you can see weird lights. One of the bathrooms will lock you in. We have heard a conversation going on between 2 men and this can be heard from 3rd floor at times. Doors open and close on there own. The study or library has recently become "active" and now we have a little girl communicating with us. While in the Lindbergh bedroom you can hear footsteps on 3rd floor and moving of furniture. While in the room below the tower you can also hear footsteps. We have chased shadows up to the 3rd floor. A little girl has been heard singing and humming in the servants area. Items get moved or come up missing in the rose bedroom and the pink bathroom. The smell of a woman's perfume can be smelled in certain areas on 2nd floor (while we investigate we do not use perfume or cologne). Weird EMF spikes can be found in certain areas on 2nd floor as well. Footsteps can be heard, the opening on drawers and cabinets have been seen and heard. Shadows have been seen and chased throughout the 3rd floor. A man has been seen and heard via EVP. A little girl and a woman are in the "blue room". We have numerous EVP's from 3rd floor and EMF spikes. An investigator has been pushed down stairs. Cold and hot spots are found throughout the 3rd floor. Pictures of mists have been captured in photos. During our tours we have had several things happen to guests. So, Quarters One usually never fails to provide evidence. This is an EVP captured in Quarters One. More content can be found on the Rock Island Paranormal YouTube page. Click Here for more videos. This location is open to the public, but not on a daily basis.